Fall may seem it is coming to an end as we are seeing temperatures drop, trees almost bare and the sight of winter just around the corner! Winter doesn’t officially start until December 21st but we can all agree that it is feeling more and more like winter by the day. Let’s take a look back on the great start to fall we had here in Vermont! Whether you hiked one of our high peaks like Mount Mansfield to enjoy the foliage or you just took a stroll through Shelburne Farms to admire the views, we hope you were able to get out and enjoy everything our amazing state has to offer! Our team was very busy getting out to all of our properties to update our fall photos. You can find all of our listings here, but below is a glimpse into some of the great foliage shots we were able to capture. The home at 280 Brigham Hill Road in Essex was shining all around with golden leaves and the mountain views were full of an array of colors. Picture yourself sitting on your stone patio here just taking it all in. In Fairfax at 270 McNall Rd, the trees, meadows and especially the views were full of light. This home takes full advantage of the Mount Mansfield views. Watch every step of the foliage change right from your home. New construction is happening in Richmond! The brand-new home going up on Swamp Road is the heart of the foliage in this area. Watch the leaves change from every window in your home. 46 Potter Road in Fairfax is an outdoor enthusiast’s dream! A rainbow of color’s surround you. Gorgeous land full of wildlife! A bonus, the separate workshop that is already plumbed ready for endless possibilities! Your backyard is full of color at this Underhill home. Step right out on your back deck to enjoy all our fall season has to offer. That is just a short look into the beauty our listings have to offer. Make sure to check out all of them here and take a tour of our 3D Matterport Tours. Enjoy the last bit of fall and let us know if you want to check out any of these fabulous homes or any other property on the market. We are here for you! The Top 4 Things Today's Buyers Look for in a Home! When thinking about buying a home, there are lots of things that matter to buyers. Here are the top 4 things that matter to buyers. 1. The quality of a neighborhood. The type of neighborhood can differ based on buyers. What kind of neighborhood fits you? 2. Convenience to work. We all know how annoying commuting can be, but it's not just the time spent commuting that matters to buyers. A growing portion of buyers today are Millennials. Life-work balance means a lot to Millennials. When you buy a home close to work it helps to enhance the life-work balance. 3. Quality of schools. Vermont is known for the quality of it's schools. Realtor.com found that a majority of home buyers who said that school boundaries will have an impact are willing to pay 1 percent to 10 percent above budget to live within school boundaries. 4. Open floor plans. Open floor plans are perfect for entertaining and spending quality time with family and friends. This is something very important to Gen Y. Take a look at our featured properties where we have lots of homes with open floors plan. Are You Thinking of Retiring in Vermont? ​What better state to retire in than Vermont? When getting ready to retire, you're most likely ready to take the stress off your back and take life back to the basics. Life is easy to enjoy in Vermont when you have the Green Mountains and Lake Champlain. Whether you prefer skiing, hiking, or simply looking at the views, Vermont has that cozy hideaway you are looking for. There is plenty to do when the family comes to visit. Take them to Church Street full of small shops and street performers, go skiing or snowboarding on the slopes and finish off the day with a great meal at one of the top restaurants around. Chittenden County is the best of the best here is Vermont, at least we think so! Burlington is so close, but you aren’t very far from the fantastic hiking trails and ski slopes. There is the perfect balance between nature, small towns and the entertainment and fantastic social life of Burlington within an hour surrounding. We hope you love Vermont as much as we do! If you are thinking of retiring to the Green Mountain State, we hope you call Nancy Jenkins Real Estate. We know Vermont and are very confident we can help find the right home for you. Moving can be very stressful! Here at Nancy Jenkins we do our best to make it as easy as possible. As a service to our clients we provide the use of one of our 14 ft Nancy Jenkins Moving Trucks for free! If one of our moving trucks is available when you need it, it’s yours for the day. We ask that you check availability in advance, keep your move to under a 50-mile radius, and gas up the truck before you drop it back off. Before you load up the truck take a look at these moving tips to save yourself some time. Some of our favorite tips are #1 and 2. Packing an overnight bag is very smart. Make sure to include everything you will need for a day or even two; moving can be exhausting don't except to have everything unpacked the first day. Making sure to prioritize your boxes is also very useful. Having the items you'll need first in clear bins will make it very easy to find the things you need the most! If you're ready for a move give us a call! The secret is out! Vermont is one of the most beautiful states in the country, offering residents and vacationers the perfect combination of mountain landscapes, pristine lakes, and rolling countryside. These ten spectacular views are some of the BEST that Vermont has to offer. You can make one of them yours by purchasing the home that goes with it from the award-winning Nancy Jenkins Team. Lake Champlain waterfront property with a beach and deck. Thompson's Point boasts a protected dock and mooring area. very spacious summer get-away. Your ticket to summer fun! 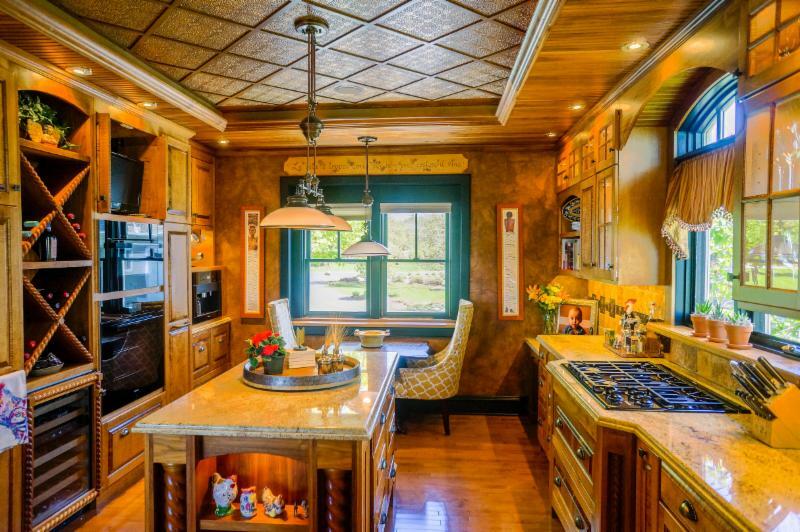 this custom-built post and beam contemporary on 10.19 acres. If ever there is a time to jump into the housing market, it is now. Prices and rates are the best we have seen in years. The number of deposits and closings are up for the first half of the year. In Chittenden County the number of closed single-family homes is up 24% over last year and closed condominiums are up 25%, both very strong indicators that the market is improving. Our home supply is starting to shrink. We have only 663 single-family homes available in Chittenden County, which is the lowest level of inventory since 2007. Condo inventory is currently at 248, and we are seeing the average sale price inching up as the available inventory declines. If you are thinking that this is your year for a move, call us now, as this is the best market we have seen since 2007. Summer in Vermont has so many opportunities. Take a sunset cruise on The Spirit of Ethan Allen, visit one of our many State Parks, or perhaps take a day hike on the Long Trail. Enjoy the beaches on Lake Champlain for swimming, boating, or kayaking. Support your local Farmers Market, where you can meet the people who grow the vegetables, fruit, and meat that grow our local economy. This is the 15th year we have awarded the Nancy Jenkins Scholarship, which provides $1,000 in tuition support for two college-bound high school seniors. We were delighted to receive a record number of applications, all from teens showing a terrific determination to succeed in their life goals. Congratulations to our 2012 Winners: Joshua Dyke of Essex Junction and Beatriz Urrutia of Shelburne. If this is your year for a move, call now! I look forward to helping you achieve your dreams. This month, we are featuring two local Vermont businesses. Our friends at Encore Repurposed Furniture & Collectibles, in Ferrisburg, is giving away a Decorative Outdoor Metal Bird Hanger ($55 Value). The Catamount Family Center is offering 2 for 1 Area Use for hiking, riding, and running through Oct 1. Happy Fourth of July, Vermont! 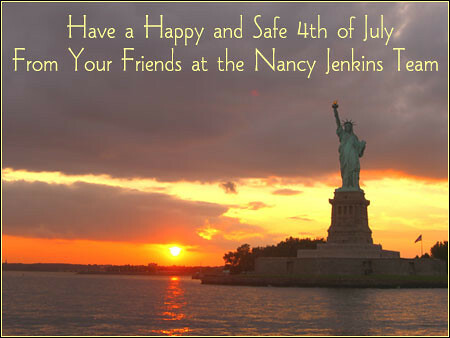 Look for the Nancy Jenkins Team in Williston’s Fourth of July parade again this year. The parade starts at 10am. The weather forecast is looking good. Come early and get a good spot! Hope to see you there!! Did you know that we Vermont realtors take a pledge every year to uphold strong values and good business practice in all of our real estate dealings? It's an affirmation of the high level of business ethics that we share here in Vermont. The pledge emphasizes honesty, knowledge, fairness, and good conduct, among other ideals.